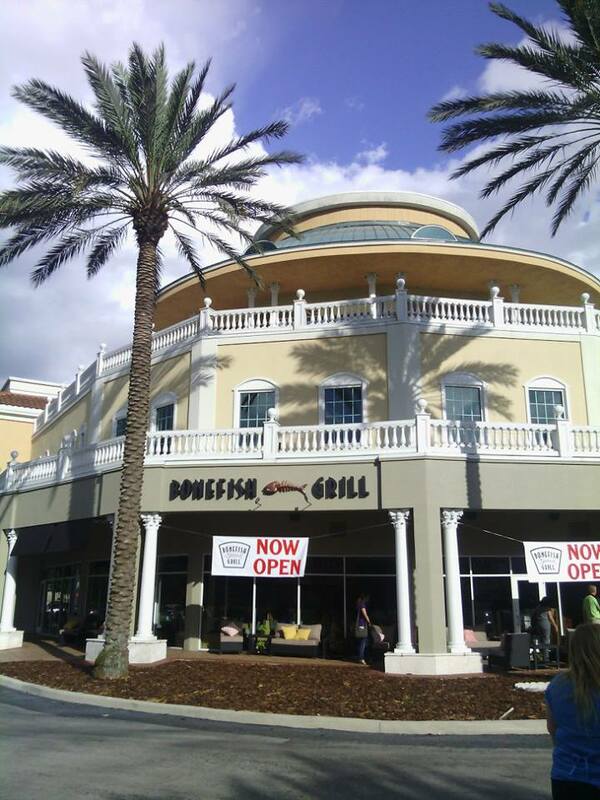 ThemeParkMama: Waterford Lakes, FL Welcomes Bonefish Grill! I am the last person you would expect to go into a seafood restaurant. 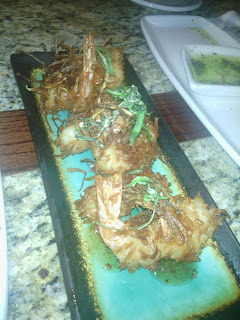 But, recently I got an invite to review Bonefish Grill at Waterford Lakes, FL and -wow- I was impressed! Bonefish Grill does have some items which are not seafood for the non fan of seafood like myself. For instance, a boneless pork chop with fontina cheese, garlic, prosciutto & mushroom marsala wine sauce. Also you can try the steak! Oh so good! I went in with an open mind and -wow- I ate things that I would not touch in a million years while at Bonefish because it just looked that good and to my surprise it was! I tried so much! I had raw tuna which, it was actually very good they serve it with a sauce that takes it over the top. I do like shrimp so it was nice to try to flavors of shrimp like Bonefish's world famous Bang Bang Shrimp a sweet but spicy shrimp, and their Thai Coconut Shrimp is great, it has ginger with coconut and a light sweet and spicy sauce! I also finally tried crab in Bonefish Crab Cakes, which even though I don't ever eat it I have family that orders it and normally it looks like a biscuit lots of breading so when I got Bonefish Grill's crab cake it didn't look like what I was use to seeing. The Crab Cake is all meat! I am in love with it and would more than be happy to try it again. 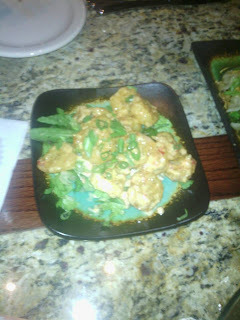 I can say thanks to Bonefish Grill I love Seafood! 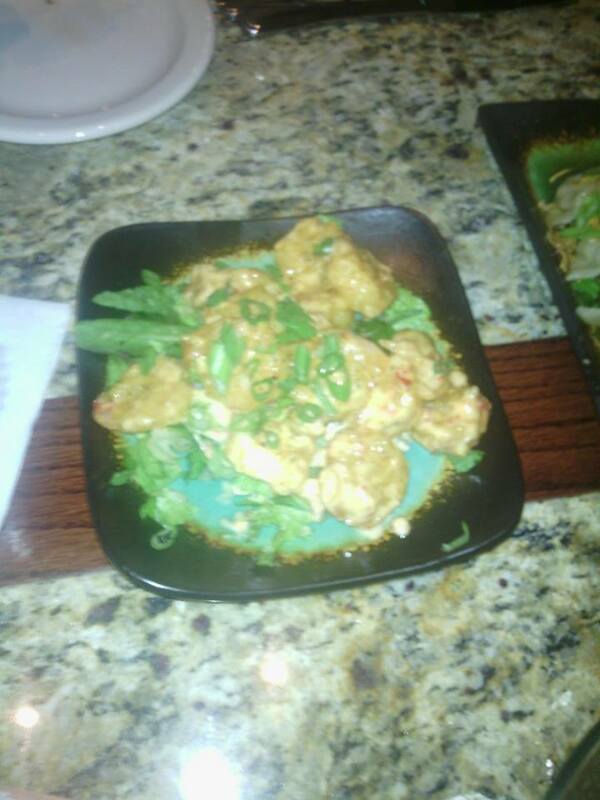 Bang Bang Shrimp is only $5 on Wednesdays after 4pm! 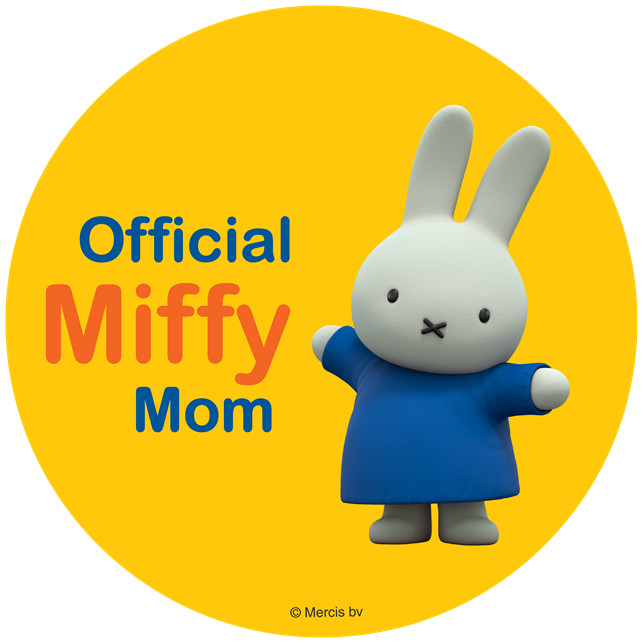 You can order as many plates as you wish! 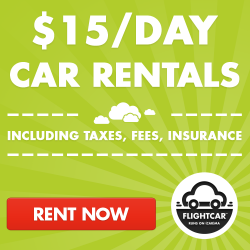 Want to try something crazy? Check out the Espresso Martini! Svedka Vanilla Vodka, Kahlua, crème de cacao and espresso. 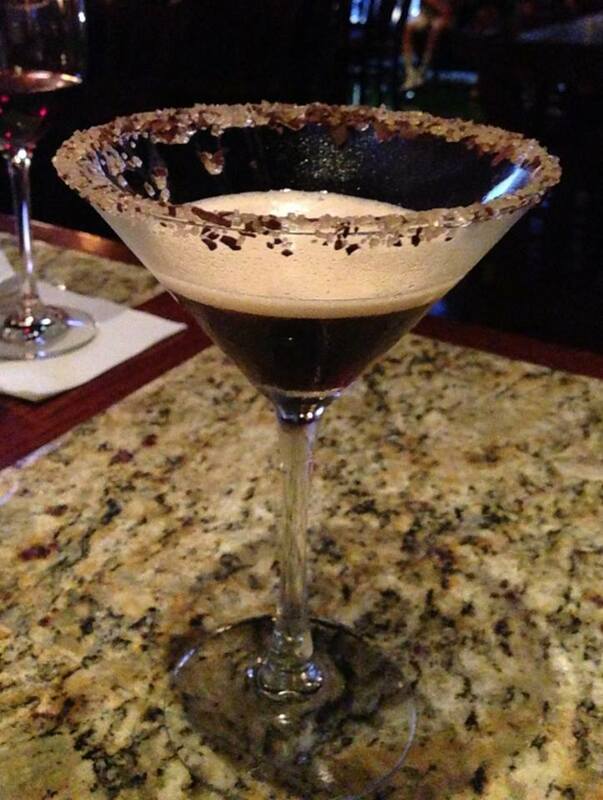 Served with a chocolate sugared rim. Talk about a wake up call! It is super sweet like drinking candy and it does the job of jolting you awake. Extremely good! 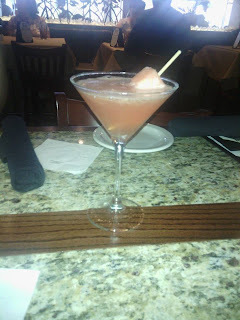 Another I got to try was the Watermelon Martini, which is Hand-muddled watermelon, fresh sour + house-made cucumber vodka infusion. (Infusion not available in all states.) Very good and you could taste the cucumber but it was a great mix with the watermelon. 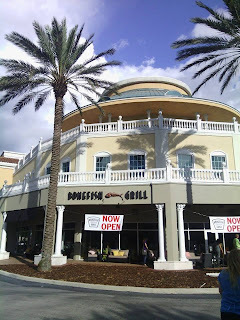 I would recommend everyone to try out Bonefish Grill especially the Waterford Lakes Location which has a great friendly staff. Disclosure: I was invited to try the products mentioned in this post to help facilitate my review. All opinions are mine and I was not influenced in any way.